"True Detective" returns with season 3 on Jan. 13 at 9 p.m.
"True Detective" Season 3, starring Oscar winner Mahershala Ali as state detective Wayne Hays, premiered Sunday night with two episodes. The first season, with Matthew McConaughey and Woody Harrelson, was must-watch TV, but fans were disappointed with the second installment. The long-awaited Season 3 returns to the moody Southern Gothic style that the series started with, and so far, it seems to be a success. This season, the mystery unfolds over three different timelines (SPOILERS AHEAD). In November of 1980, in West Finger, Arkansas, 12-year old Will and 10-year old Julie Purcell have gone missing. Ten years later, Wayne, the former detective on the case, is shocked by new details during a deposition. Fast forward another 25 years, and old man Wayne, suffering from memory loss, is being interviewed by a true crime documentarian about the Purcell case. The first two episodes include creepy dolls, murder, a ransom note, a love story between Wayne and Amelia, one of the missing children's schoolteacher, a Black Sabbath mention and so many suspects. As with all good TV, half the fun is watching the show and the other half is seeing what Twitter has to say about it. Below is a roundup of reactions to the "True Detective" Season 3 premiere, plus some possible clues viewers picked up on during the show. 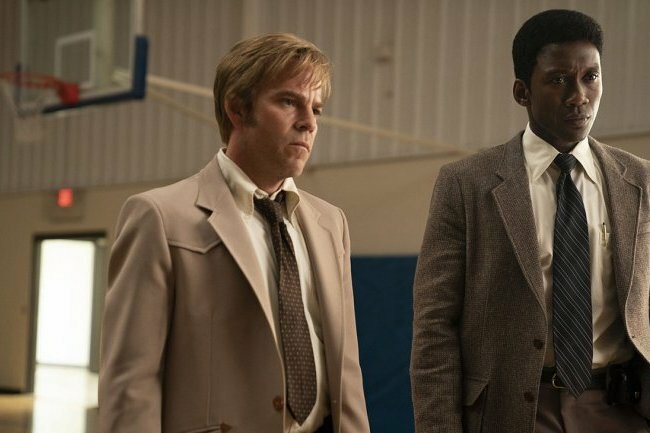 True Detective season three is only ten minuets in and it’s already great, mainly because it’s not season two.